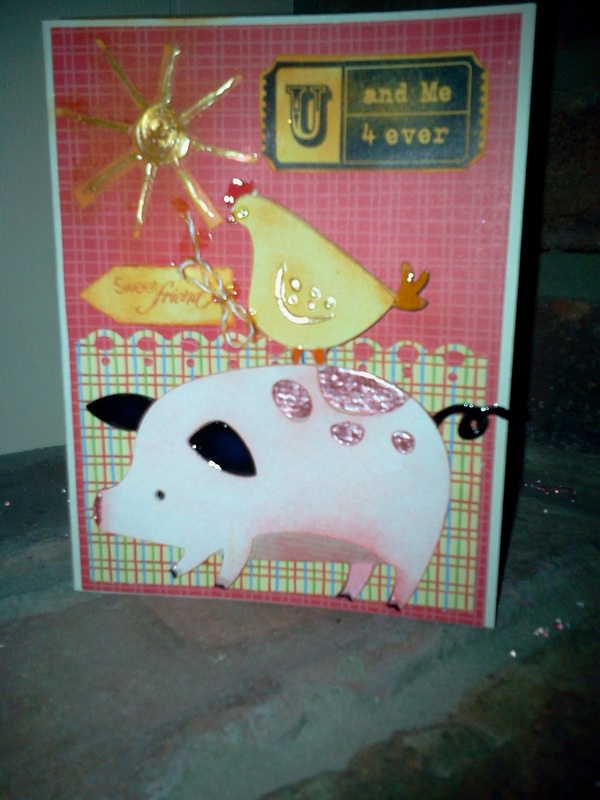 Today I made a card for the CARDZ Challenge#35 Celebrate the Harvest. 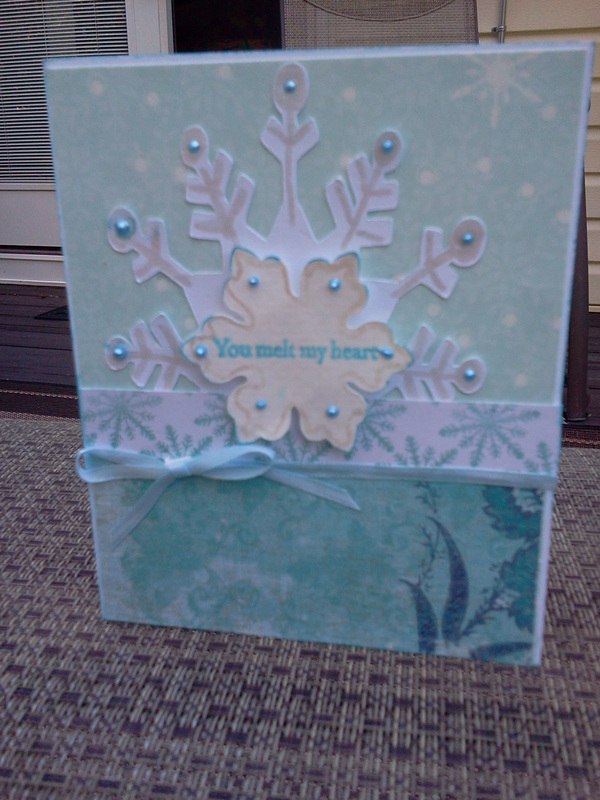 I used an image from KaDoodle Bug Designs, my silhouette cameo print and cut feature and the Martha Stewart fence punch. 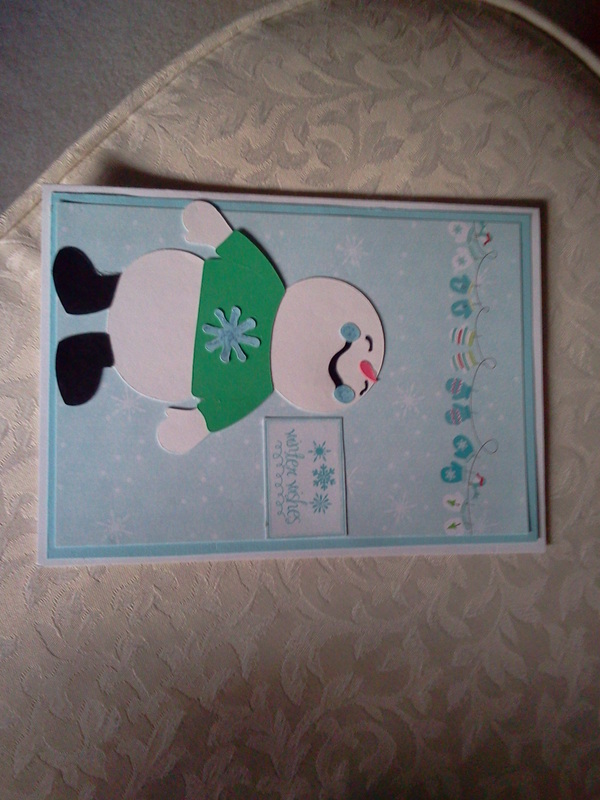 The paper is from my stash. 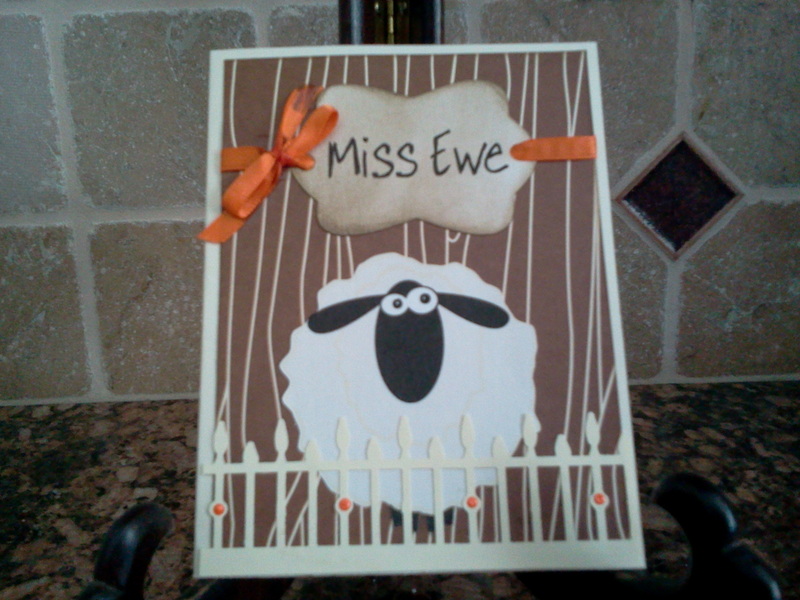 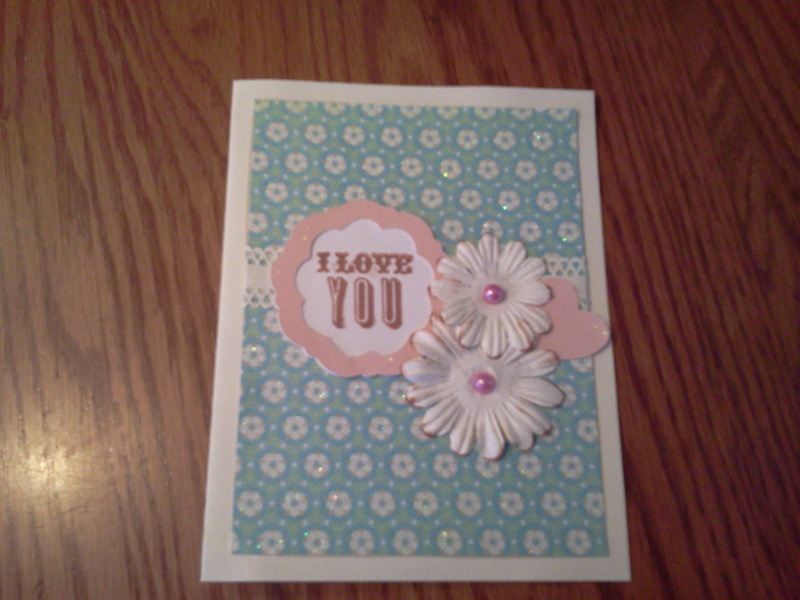 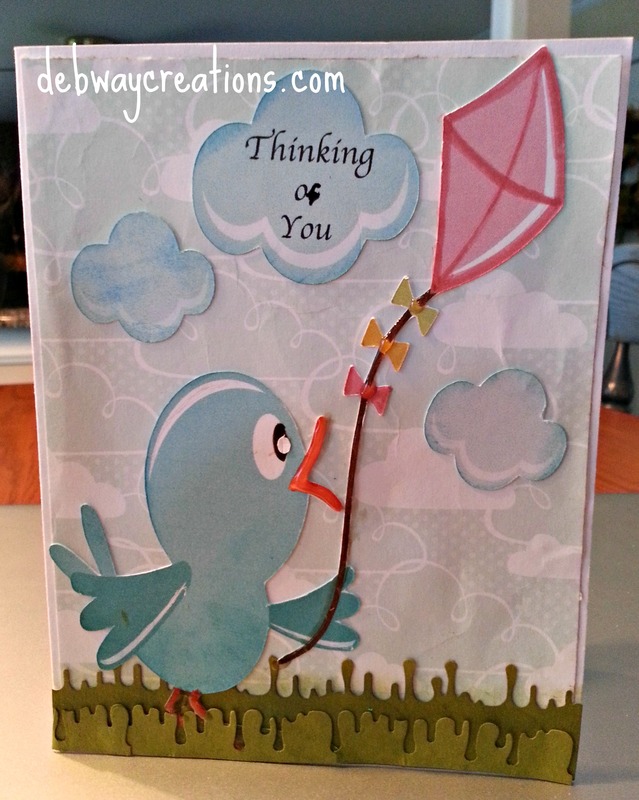 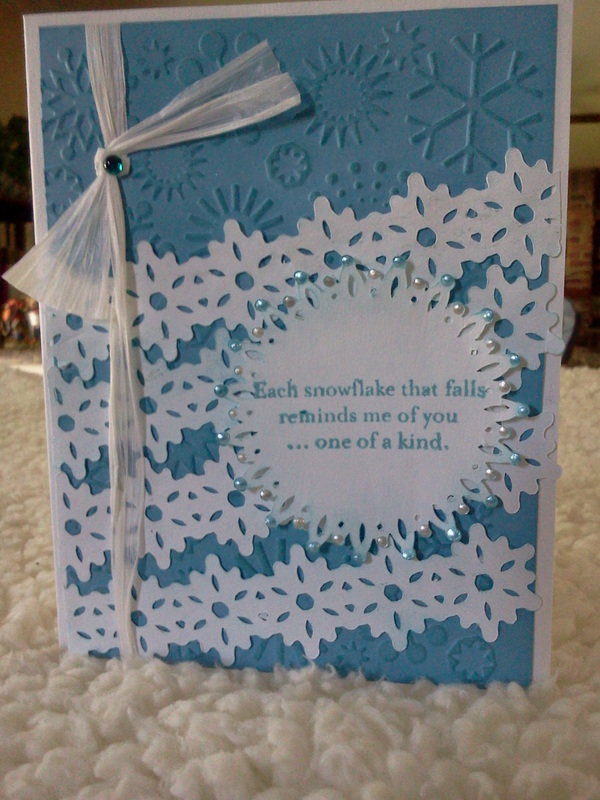 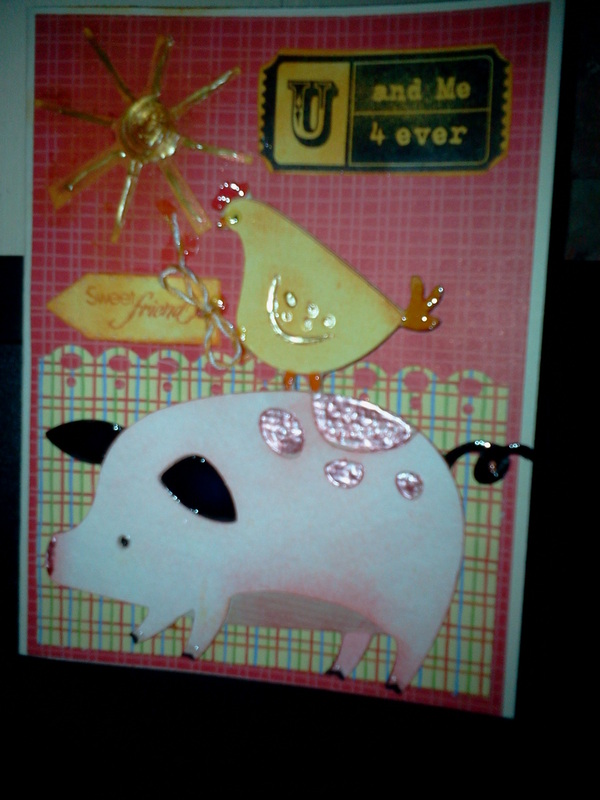 I also used the pinking embossing folder and my cuttlebug. 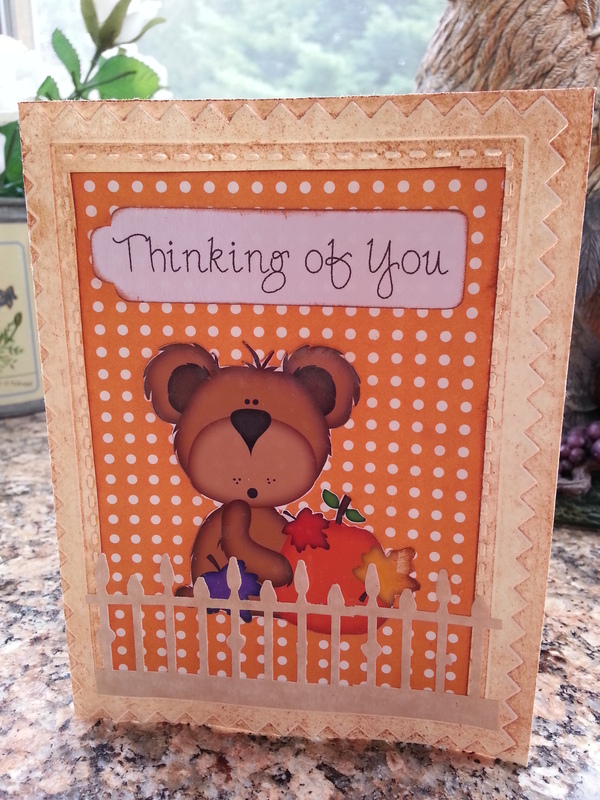 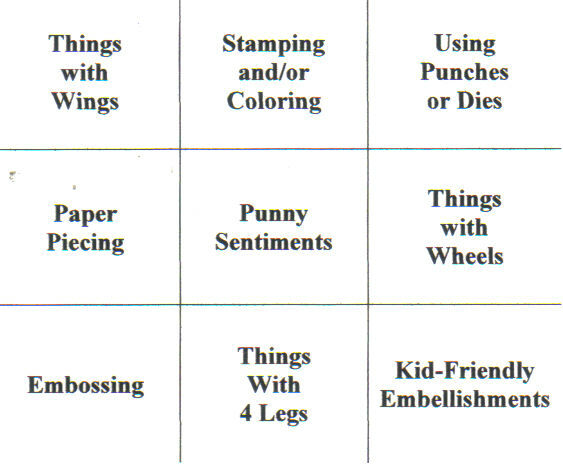 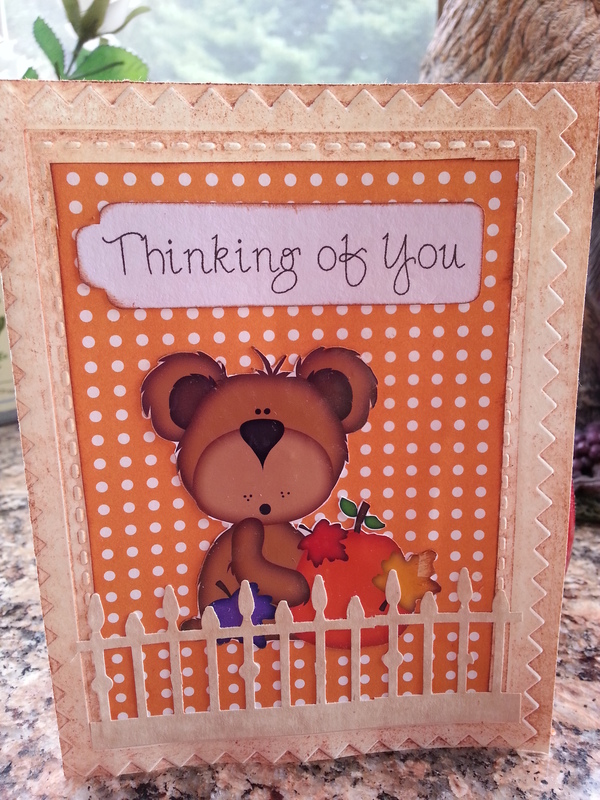 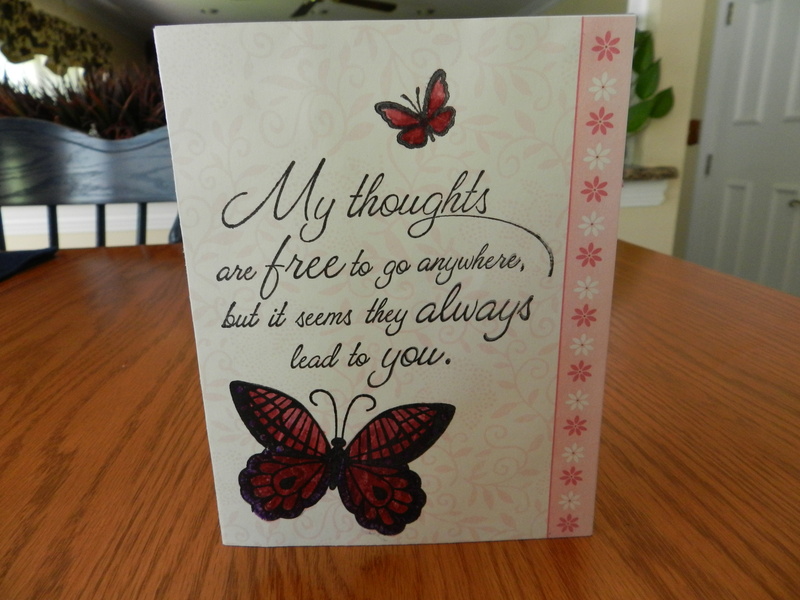 I am adding this A2 size card to my box of cards for Operation Write Home. 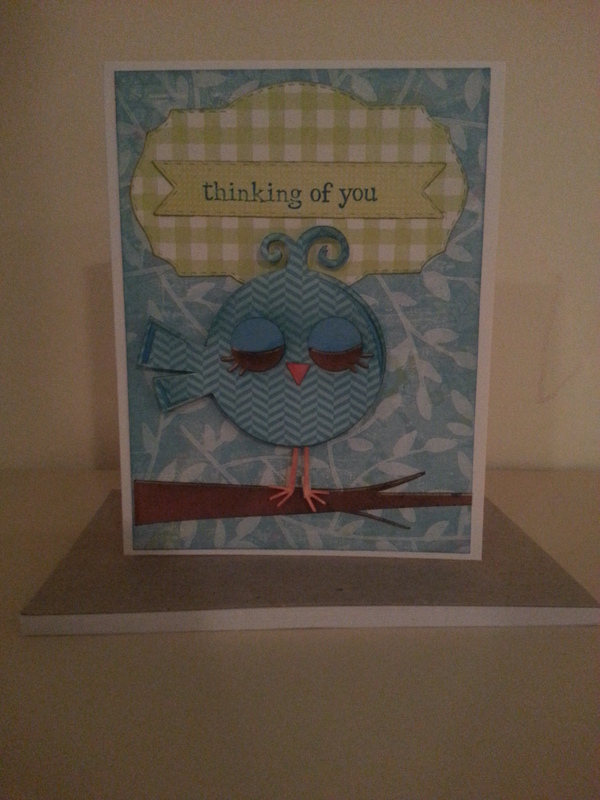 Operation Write Home is taking part in the World Card Making Day BlogHop. 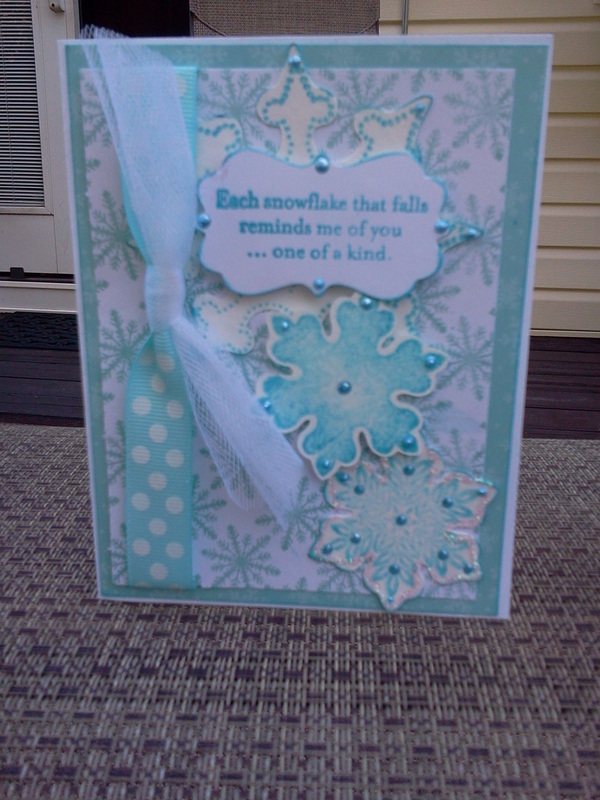 You can get all the information by going to their blog page.